Hello! 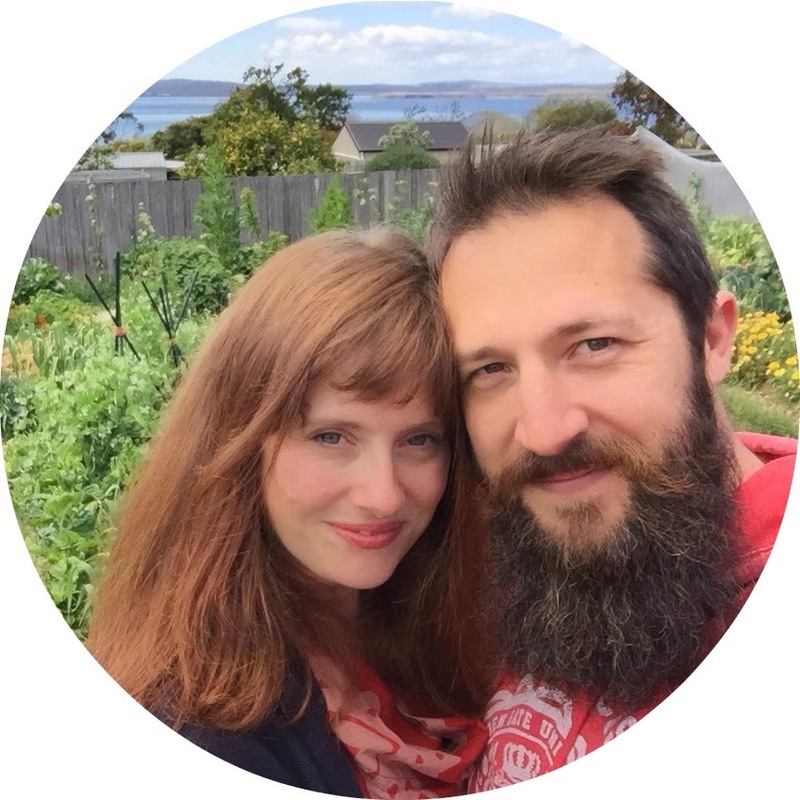 We two are Lauren and Oberon, head gardeners of Spiral Garden.We live with our three daughters in a little green house in southern Tasmania, Australia, slowly growing our permaculture dream on an average-sized suburban block. We run our home-based business by night and work, garden, learn and play by day, spending as much time in nature as possible. Our children are home-educated, and we aim to make the most of the beauty and positive learning experiences that Tasmania has to offer. I am Owlet mama, shop curator for Spiral Garden, permaculture designer/education facilitator, and long-time blogger at Owlet. As hands-on facilitator of our owlets' learning journeys, I’ve learnt quite a bit about the natural learning process! I trained and worked for many years as a textile designer and have always been passionate about gardens, garden design and permaculture. I work as a conservation scientist by day, and over many years I have developed an understanding of (some of) nature’s processes and enjoy big-picture environmental thinking. I spend my days addressing conservation issues in Tasmania such as how to manage biodiversity under climate change and working towards a sustainable future for Tasmania. Since completing my Permaculture Design Certificate, I have been drawing links between ecology, lifestyle, education and permaculture design. I want to encourage healthy and sustainable life-style choices for myself, my family and the broader community. I also have a thing for photography and hanging out in nature, identifying fungi and other small creatures on the forest floor. You can find my photography here. The owl is symbolic of wisdom and intuitive knowledge. It signifies life transition, change and the ability to explore the magic of life. In the poem, The Song of Hiawatha, Grandmother Nokomis calls the baby Hiawatha her owlet, as she gently rocks him to sleep. The symbolism of the owl and this snippet of the poem Lauren read as a child, relate to the journey we've been on as parents and individuals walking the earth. When Lauren was a Textile Design student, many moons ago, her major project was to design a children's fashion label, which she named "owlet". The imagery and symbolism have helped shape our world ever since. You'll see us refer to our three children as Owlets. They are our biggest teachers and guides and have signified a huge period of change and learning in our lives. They brought us to Tasmania, searching a gentler-paced life in a beautiful place, suitable to raise a family, surrounded by nature. They brought us to parent gently and with respect for them as individuals. And to return the favour, we help facilitate much of their learning through unschooling. This blog is about our growth and learning about life, together. Sometimes our unschooling articles feature in Otherways magazine.